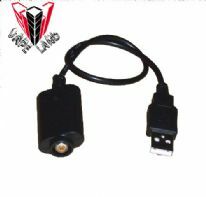 900mAh eGo-T Battery is a manual switch battery. 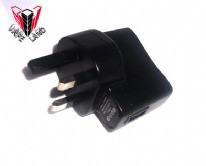 It's a super battery, and can supply power for all day use, the battery with 5 click to turn on/off power. 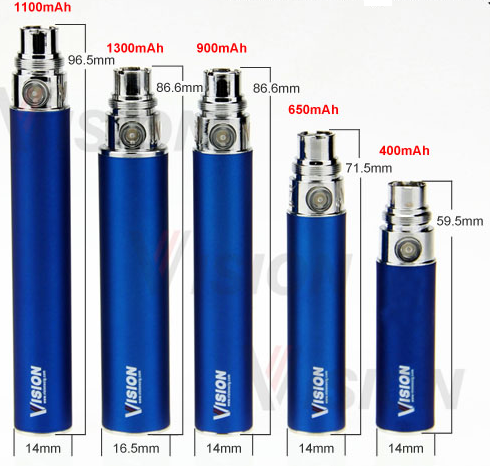 The 900mah battery is the users choice at VapeLand with it being above the 650mah but below the 1100mah long size, its just right for most users, supplying more than enough power for a good days use for most users. 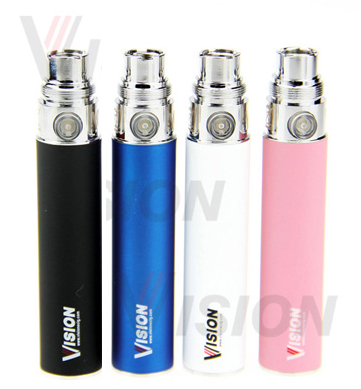 PLEASE NOTE: Your battery may contain the Vision Logo, Ego-T logo or nothing printed, unfortunately we cant offer a choice as kits are sealed from Vision. All batteries come with the official Vision hall mark on the threading of the battery. 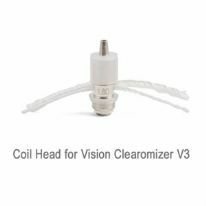 Great value product and if these are the same as supplied in the kits then they will last around 2 days, I use mine loads and have only had to charge it every 2 days. Well impressed.